In addition to great fuel economy, our Ford Price Promise and extended service intervals help keep the cost of ownership down across the Ford range. 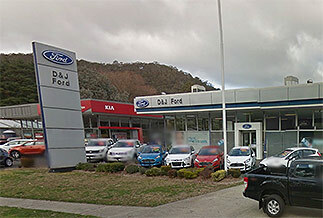 And, with more Ford Dealerships located in metropolitan areas around the country, you have extensive national coverage for after sales service. To help determine which models are suitable for your business, we assess your vehicle requirements, including size, storage, seating capacity and comfort; towing and load volume capabilities; and power, off-road capability and tyres. Additional business needs may also place emphasis on certain features, such as Bluetooth mobile phone integration, Satellite Navigation, and reverse cameras and reverse sensing systems. Ford Australia works closely with our Global Fleet Solutions team, allowing us to provide you with fleet arrangements that are both extensive and personalised. Our Global Fleet Solutions team is made up of representatives from every Ford Motor Company worldwide, and is uniquely specialised to manage complex fleet requirements from clients spanning multiple countries. Additionally, our uniquely diversified global product portfolio not only delivers vehicles to match any fleet requirement, it also provides you with the flexibility to meet your company needs.